Congratulations to Southern Regional Senior Athletes Billy Kubarewicz and Brennan Davis on signing their National Letter of Intent with their respective colleges. 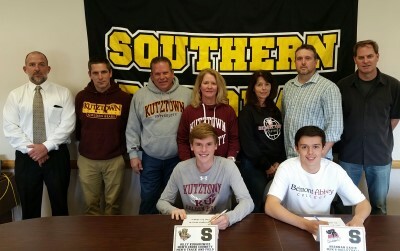 Billy signed with Kutztown University in Pennsylvania for Men's Cross Country and Track & Field. Brennan Davis signed with Belmont Abbey College in North Carolina for Men's Volleyball. 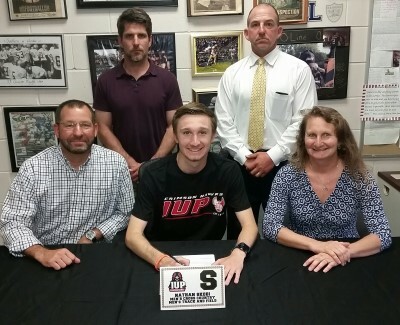 They are pictured with their parents, SRHS Principal Mr. Eric Wilhelm plus Boys Cross Country, Track & Field Head Coach Scott Baker and Head Boys Volleyball Coach Eric Maxwell. Good Luck to both student athletes and Thank you for all you have done for Southern. Congratulations Southern Regional Boys Cross Country team on winning the Ocean County Championship (Freshmen, JV and Varsity) categories for the 2016 season. 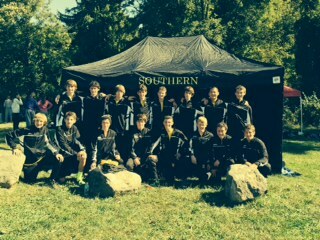 Congratulations to the Southern Regional Boys Cross Country team on winning the 2016 Shore Conference "A" South division title on Thursday, October 13th. 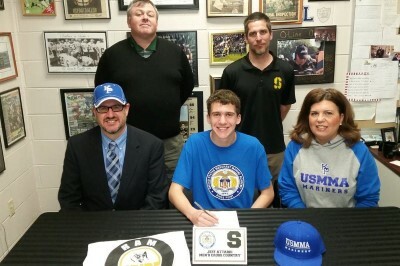 Congratulations Southern Regional Boys XC runner Jeff Attardi on his commitment to the United States Merchant Marine Academy to continue his education & Cross Country career. 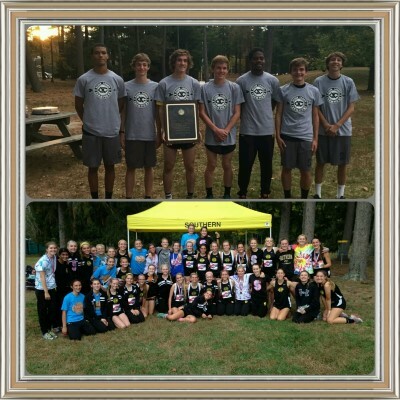 Congratulations to the Southern Regional Boys & Girls Cross Country teams on winning the 2015 Shore Conference "A" South Divisional titles. Attached is information on alum Brandon Skeie (senior) who helped West Florida University to a 3rd place finish at the Valdosta State Cross Country Challenge. 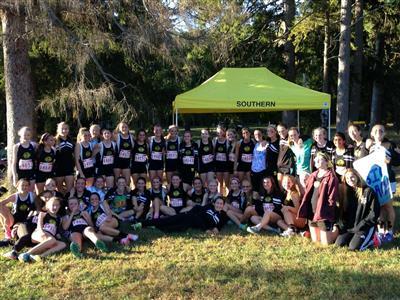 Attached are the results from the 2014 Shore Conference “A” South Meet which took place at Ocean County Park on Thursday, October 9th. 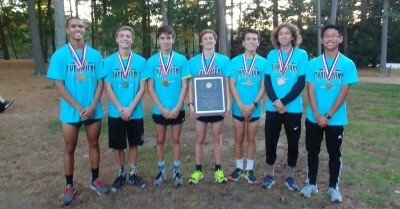 Congrats to the 2014 Southern Regional Boys Cross Country team on winning the Shore Conference "A" South Championship today (Thursday, October 9th). 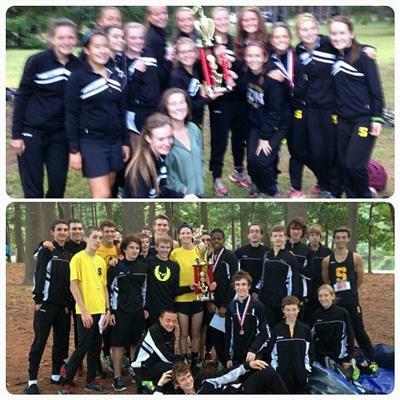 Congrats to both the Southern Regional Boys & Girls Cross Country teams on placing 2nd at the 2014 Battle Invitational at Ocean County Park on Friday, September 19th. 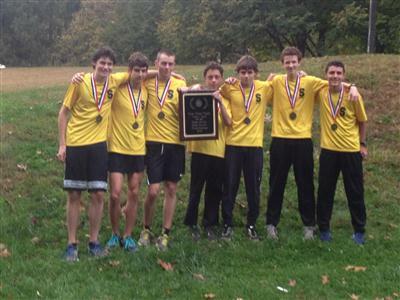 Congratulations to the Southern Regional Boys Cross Country team on winning the 2013 Ocean County Championship. This marks the 4th straight year that the team has won the title. The Junior Varsity won the JV Ocean County meet as well. It was a great day for the Rams! Good Luck the rest of the season. Congratulations to both the Southern Regional High School Boys & Girls Cross Country teams on defeating TR South and Brick Twp. in a tri meet on Tuesday, 10/8/13. With the wins both teams have won the 2013 Shore Conference "A" South Championship in their respected sports. 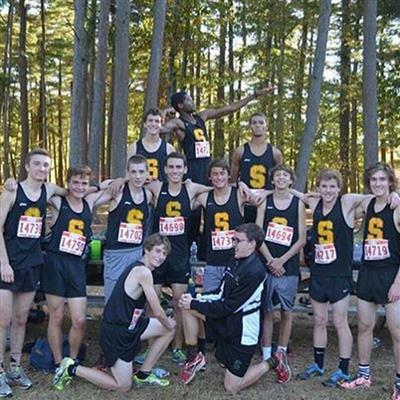 Congrats SRHS Boys Cross Country team on placing 7th in the Bowdoin Classic Invitational in New York State this past weekend. 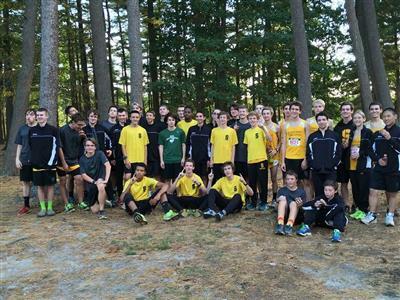 The invitational hosts the top cross country teams in the Northeast region. The team is currently ranked #11 in the State of New Jersey. Good Luck the rest of the season. 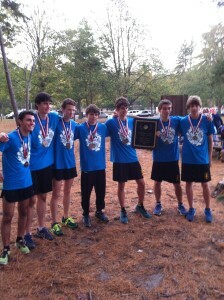 Congratulations to the SRHS Boys Cross Country Varsity & JV team on winning the 2012 Ocean County Championship. Attached is a photo of the Varsity championship team. From L to R are: Mike Evans, Nick Nocco, Steve Mershon, Joe DiFilippo, Cody Raynor, Sean howley & Dave Marino. 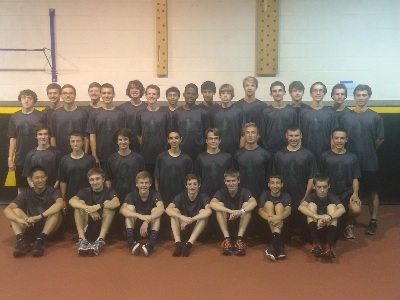 Congratulations to the SRHS Boys Cross Country team on winning the 2012 Shore Conference "A" South Division Championship by beating both Brick Memorial (19 to 38) and Toms River North (24 to 34) in a tri meet on October 11, 2012. 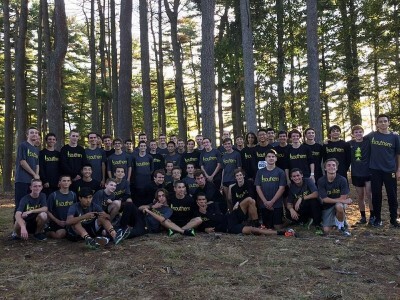 The 2011 Boys Cross Country Banquet will be held on Tuesday, December 13th in the 11/12 cafeteria at 6:30 pm. 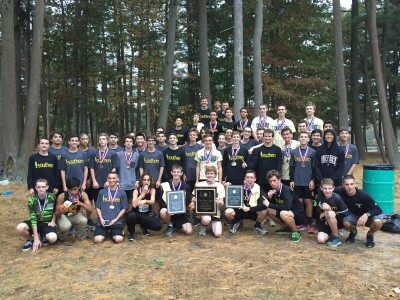 Congratulations to both the Boys Cross Country team on winning the 2011 Ocean County Titles! Congratulations to the Boys Cross Country team on defeating both Toms River North and Brick Memorial and winning the “A” South championship for the 2011 season. Our goals are ambitious. We understand that the roads we must travel will have their highs and lows. We understand that as a brotherhood, and only as a brotherhood, we will have many more highs then lows. Scott Baker awarded Cross Country Coach of the Year by Atlantic City Press. Middle School Cross Country runs from the beginning of the school year until early November. The teams run on a cross country course that is 1 1/2 miles long. The course typically includes woods and open running. For scoring purposes, the first seven runners for each team are counted and the team with the lower score wins. Southern Regional usually has about 8 meets during the season. The team also participates in tournaments. Team members are expected to keep up their studies and represent Southern Regional as good citizens at all times.